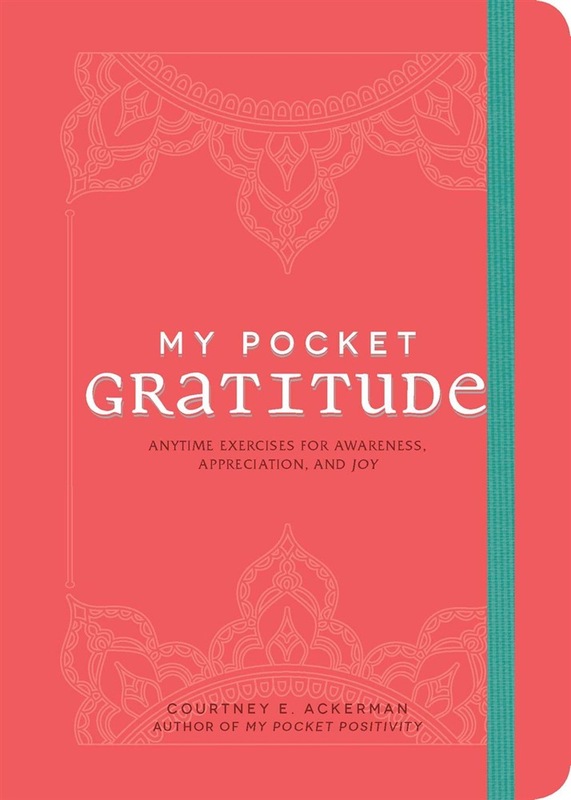 Practice being grateful everyday with these quick and inspiring exercises to express gratitude for yourself, others, and circumstances in your daily life. Gratitude is a powerful tool that transforms any negative situation by adding a positive perspective and makes otherwise ordinary moments even better by reminding us to savor the experience. You can reap the benefits of gratitude, which include better sleep, less stress, and an overall enhanced sense of well-being just by shifting your attitude towards a more grateful mindset. In My Pocket Gratitude you’ll discover many easy ways to start living with more awareness, appreciation, and joy everyday with simple exercises to do on the go including: -Thank yourself for thinking ahead -Get your body a gift -Express “old” gratitude to a loved one -Make a list of reasons to be proud of past you -Give someone a positive tour -Catalogue your lessons learned These 150 gratitude-infused activities help you cultivate positivity throughout your life and begin to develop habits that lead you to feel more fulfilled on a day-to-day basis. With this book in hand you can easily turn any negative experience into a positive one—and thank yourself in the process! 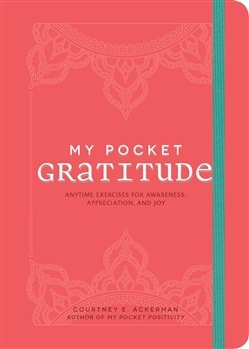 Acquista My Pocket Gratitude in Epub: dopo aver letto l’ebook My Pocket Gratitude di Courtney E. Ackerman ti invitiamo a lasciarci una Recensione qui sotto: sarà utile agli utenti che non abbiano ancora letto questo libro e che vogliano avere delle opinioni altrui. L’opinione su di un libro è molto soggettiva e per questo leggere eventuali recensioni negative non ci dovrà frenare dall’acquisto, anzi dovrà spingerci ad acquistare il libro in fretta per poter dire la nostra ed eventualmente smentire quanto commentato da altri, contribuendo ad arricchire più possibile i commenti e dare sempre più spunti di confronto al pubblico online.